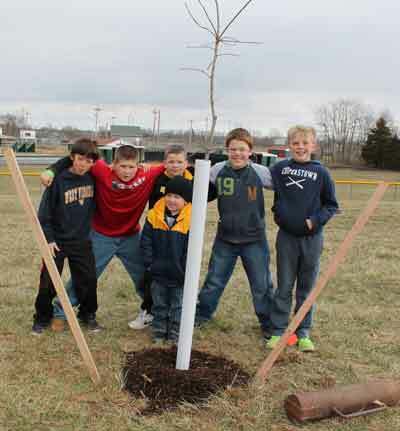 The Musselman High School WET Club was awarded 24 flowering trees through WV Project CommuniTree to plant at several schools in Berkeley County, WV. 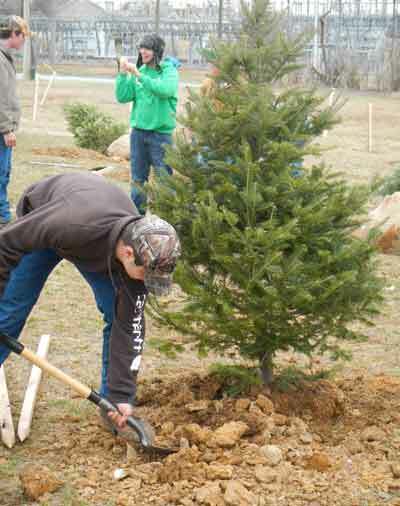 The WET Club took charge of all three tree planting groups: Musselman High School, Mill Creek Intermediate School and Mountain Ridge Intermediate School. Jane Barvir (GSCNC) and Heather Isherman (EPCD) worked with 18 members of the Science Discovery Club sponsored by the Girl Scouts at Mountain Ridge Intermediate School. Five WET Club students led the student team at Mt. Ridge. 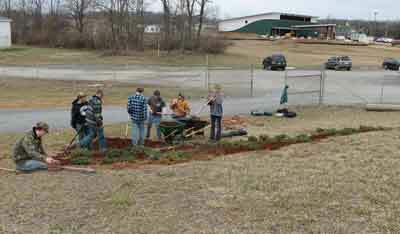 WET Club students also worked with the Mill Creek group. 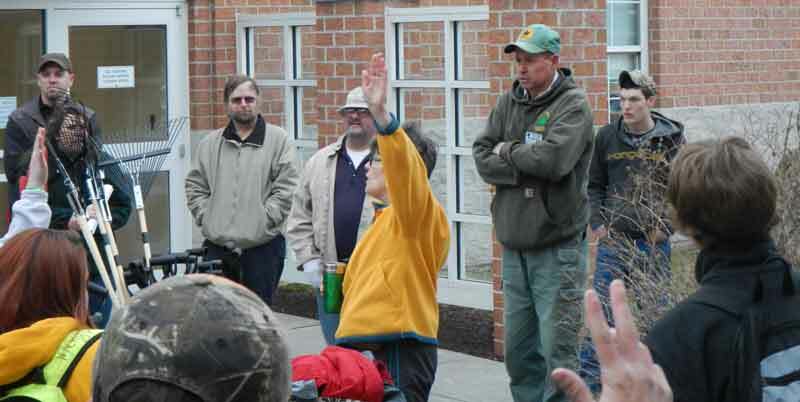 There were four teachers, five parent volunteers, and 50 Intermediate students at Mill Creek. Prior to the March 28th planting, Mrs. Stevens and Mrs. Barvir had several meetings with the principals and teachers. 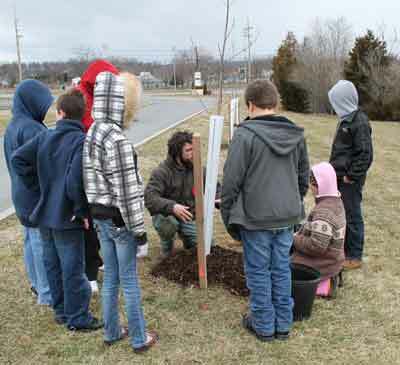 Additionally, they had Ecodays (led by AP Environmental Students and select WET Club students) at both Intermediate Schools. 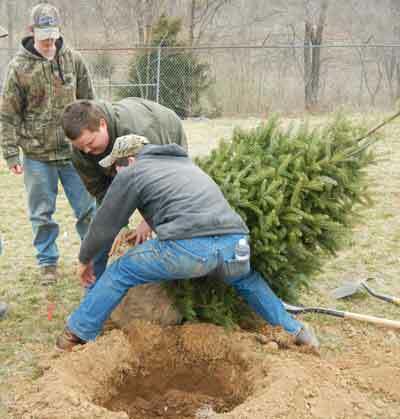 The tree planting with the Communitree trees was a culminating event at both schools. The weather on March 28th was a bright, blustery, spring day. 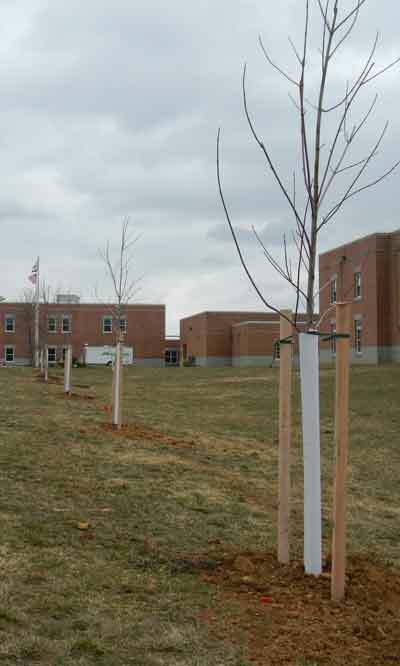 The planting took approximately five hours at each school. 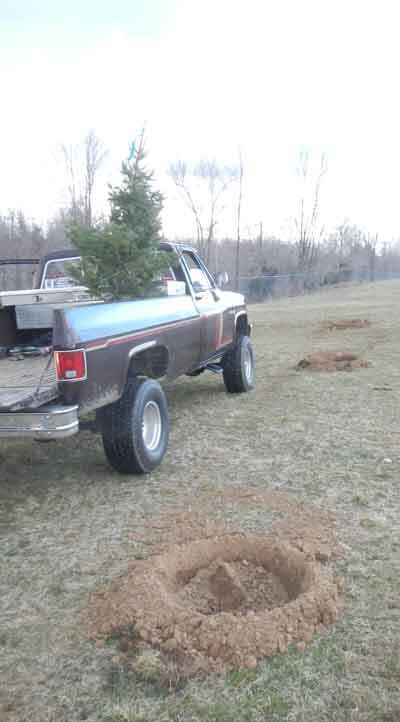 Funds from a Cheasapeake Bay Grant were used to dig all of the holes for the trees prior to the planting day; the holes were completed the day before the planting. This is a first for both of the Intermediate Schools. 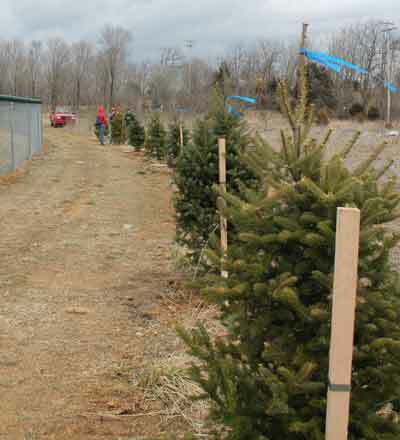 The principals at both schools were very pleased with the results; the trees are located along the drives into the schools, visible to parents and students every day.